On December 15-22, 2016 NGO “Ecological Awareness and Waste Management” conducted a training of the laboratory staff of scientific and research firm “Gama” - the issues of management of obsolete, overdue and outdated chemical substances and materials. 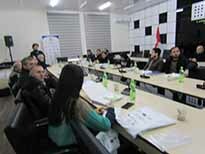 The training was held in the office of the firm “Gama” in the framework of the “Clean Up Georgia –Phase III” project. 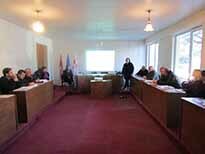 On December 27, 2016, Georgian Society of Nature Explorers “Orchis” arranged a meeting in Mtskheta Municipality City Hall with the participation of the representatives of Municipality City Hall, non-for profit juridical persons, Ltd companies and others. 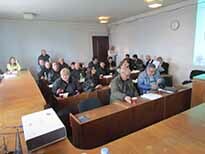 On December 20, 2016, Georgian Society of Nature Explorers “Orchis” arranged a meeting in Telavi Municipality City Hall with the participation of the representatives of Municipality City Hall, Administration (Gamgeoba), Ltd companies, non-for profit juridical persons and others. On December 13,2016, EAWM conducted the workshop entitled “Abandoned tanks of Chlorine and Security Issues of Chemicals in Tbilisi Public Schools” in the framework of the “Clean Up Georgia – Phase III” project, with students of Chemistry Circle in the National Youth and Children’s Palace. NGO Ecological Awareness and Waste Management (EAWM) held the awareness raising meeting in Bagdati Municipality in Imereti Region on December 14, 2016. The meeting was held in the framework of the ‘Clean Up Georgia – Phase III” Project aiming at informing the Municipality on the hazardous waste, in particular, chlorine/chemicals, on the territory of Georgia and its negative impact on human health and the environment. On December 16, 2016, Georgian Society of Nature Explorers “Orchis” arranged a meeting in Rustavi Municipality City Hall with the participation of the representatives of Municipality City Hall, non-for profit juridical persons and others. 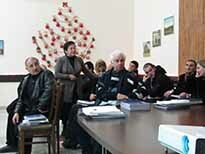 On December 13, 2016, Georgian Society of Nature Explorers “Orchis” arranged a meeting in Sagarejo Municipality with the participation of Administrator (Gamgebeli) of the mentioned municipality, representatives of Administration (Gamgeoba), administrative units, non-for profit juridical persons and others. 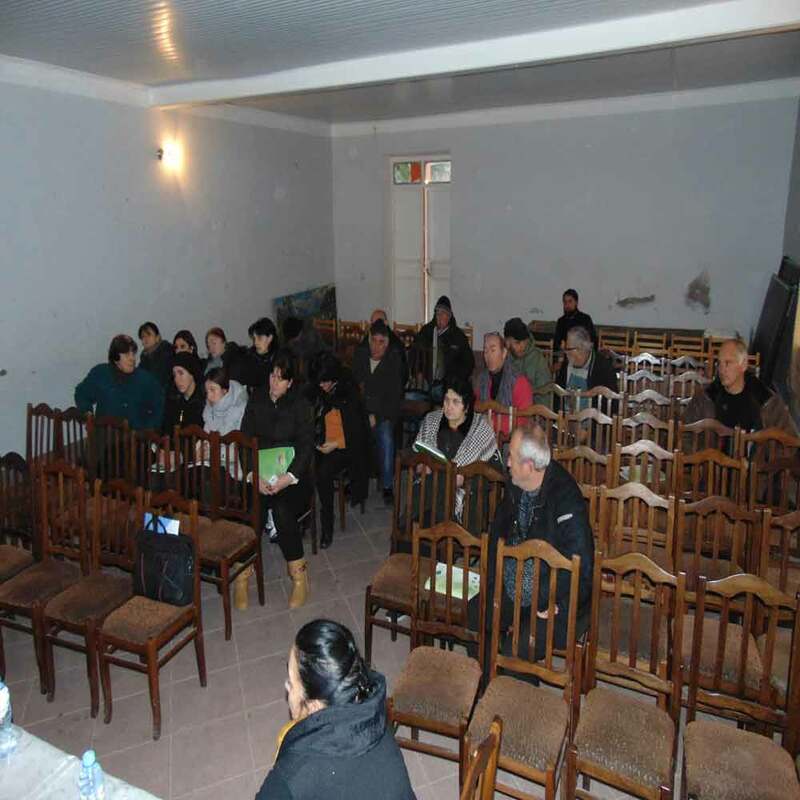 NGO Ecological Awareness and Waste Management (EAWM) held the awareness raising meeting in Terjola Municipality in Imereti Region on December 7, 2016. The meeting was held in the framework of the ‘Clean Up Georgia – Phase III” Project aiming at informing the Municipality on the hazardous waste, in particular, chlorine/chemicals, on the territory of Georgia and its negative impact on human health and the environment. On December 7 In the framework of the project “Clean Up Georgia” (Phase III), The Greens movement of Georgia/ Friends of the Earth Georgia held a meeting in village Chibati of Lanchkhuti municipality with representatives of local population on waste management issues. The organizers provided information to the presented audience on ongoing and planned activities within the project, as well as current situation related to waste management in Georgia, international obligations and foreign experience in the field of waste management. The discussion also focused waste management hierarchy. On December 6 In the framework of the project “Clean Up Georgia” (Phase III), Greens movement of Georgia/ Friends of the Earth Georgia held a meeting in village Makvaneti of Ozurgeti municipality with representatives of local population. During the meeting were discussed ongoing and planned activities of the project «Clean Up Georgia", as well as current situation related to waste management in Georgia, the waste management hierarchy, which has been introduced in many countries around the world, international obligations and foreign experience in waste management. 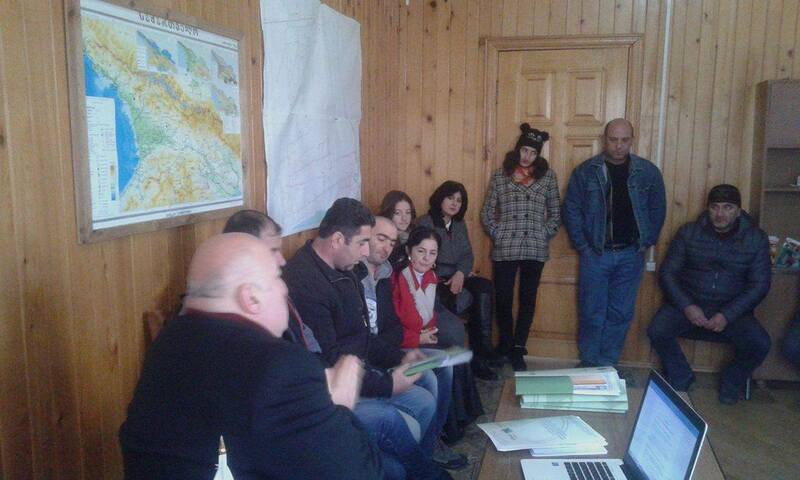 On December 6, in the framework of the project “Clean Up Georgia” (Phase III), Greens movement of Georgia/ Friends of the Earth Georgia held a meeting in borough Ureki of Ozurgeti municipality with representatives of local population on waste management related issues. The purpose of the meeting was to provide the audience with information on realized and planned activities within the project, as well as the current situation related to waste management in Georgia, international obligations and foreign experience in the field of waste management, with focusing on the waste hierarchy, which was introduced in many countries around the world and gaps associated with this problem in Georgia. 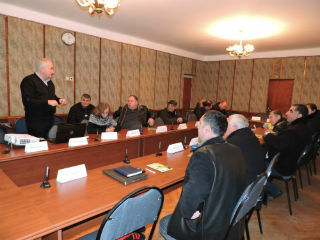 In December 5, in the framework of the project “Clean Up Georgia” (Phase III), Greens movement of Georgia/ Friends of the Earth Georgia held a meeting in village Guturi of Chokhatauri municipality with representatives of local population on solid waste collection, separation and removal systems, generally on waste management issues. 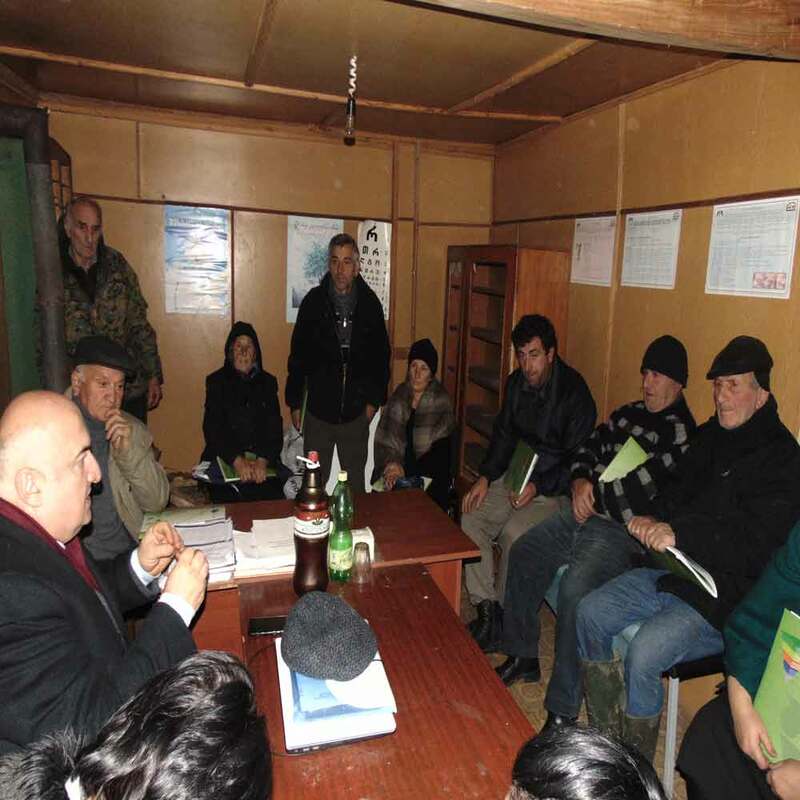 On December 5 In the framework of the project “Clean Up Georgia” (Phase III), Greens movement of Georgia/ Friends of the Earth Georgia held a meeting in village Vani of Chokhatauri municipality with representatives of local population. The purpose of the meeting was to provide the presented audience with information on implemented and planned activities within the framework of the project, as well as current situation related to waste management in Georgia, international obligations and foreign experience in the field of waste management, with focusing on solid waste collection, separation and removal systems. 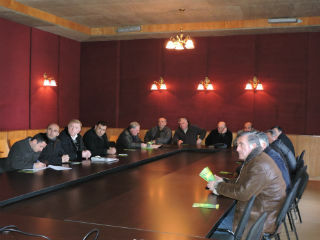 NGO Ecological Awareness and Waste Management (EAWM) continues the awareness raising meetings in Imereti Region. 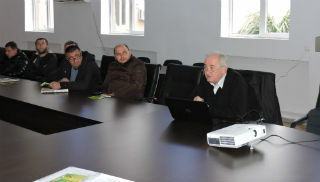 On November 30, 2016 the meeting was held in the city of Vani in the framework of the ‘Clean Up Georgia – Phase III” Project. The aim of the meeting was to inform Vani Municipality on the hazardous waste (in particular, old tanks of chlorine/outdated lab.chemicals) on the territory of Georgia and its negative impact on human health and the environment. The meeting was attended by representatives of Vani Gamgeoba (Administrative Body of the Municipality) subordinate administrative units. On November 21, 2016, Georgian Society of Nature Explorers “Orchis” arranged a meeting in Khashuri Municipality with the participation of representatives of Administration (Gamgeoba), Assembly (Sakrebulo) of the mentioned municipality, Ltd companies, non-for profit juridical persons and others.